Victoria is a solicitor specialising in company law and investment funds, working in the City of London. She is also qualified in Hong Kong where she worked for 4 1/2 years. She spends weekends at Fifehead Magdalen near Gillingham, where she enjoys riding and gardening. Victoria is a St Mary’s old Girl, as is her daughter. 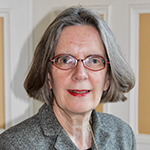 She became a Governor at St Mary’s Shaftesbury in March 2013 and since June 2015 has been a member of the Finance & Development Committee. Kathryn was House Captain of Harewell and then Head Girl at St Mary’s, leaving in 1992 from where she went to St. Bartholomew’s Hospital Medical School and qualified in 1997. In 2011 she relocated to Dorset with her husband and 2 energetic young sons, joining Gillingham Medical Practice in September 2012 and becoming a partner in 2013. Kathryn is thrilled to have the opportunity to remain closely involved with St Mary’s, where she was enormously happy. She was previously a Governor at St Mary’s Catholic Primary school in Marnhull from 2012-2015 and became a Governor at St Mary’s Shaftesbury in 2013. Her specific roles are as Safeguarding Governor, as part of the Education Committee and latterly as Deputy Chair. Nick is a serving Army officer. He was commissioned in 1991, and has served with the Army all over the world in a wide variety of operational command and staff roles. He currently commands the 3rd(United Kingdom) Division, based on Salisbury Plain. Nick joined the governors in 2018 and is on the Finance & Development Committee. Nick has two daughters who attended St Mary’s, one of whom was Head Girl. 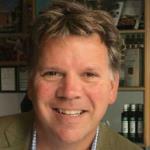 Philip is a Barrister who has specialised in Family Law for the last 17 years. In that capacity, he has considerable experience of dealing with all aspects of the law relating to children. He also sits as a part-time Immigration Judge, and qualified as a Family Law Mediator. He sat as Chairman of a School’s Appeal Tribunal in Barnes as well as having eight years’ experience as a Trustee of the Barnes Workhouse Trust. 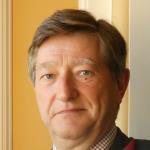 He is a strong Catholic, and is a Member of the City of London Catenians, of which he was President in 2012-2013. He is also a Member of the Thomas More Society. Both his daughters were at St. Mary’s, and they loved the School, and benefited enormously from it. One of them was Head Girl. Philip became a Governor of St. Mary’s in February 2017, and has recently become a member of the Finance & Development Committee. Mike began his career teaching Economics and Business at the Godolphin School in Salisbury. He took up the position of Assistant Head at Headington School in Oxford in 1997. In 2003, he was appointed as the Principal of Kilgraston School in Perthshire, transforming the school to achieve the highest growth rate within the sector. In November 2011, Kilgraston gained national recognition by being named the UK Independent School of the year. 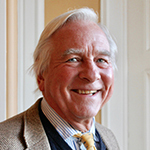 During his tenure at Kilgraston Mike was also Chair of the Scottish Girls’ Schools and a member of the governing council for the Girls’ Schools Association. In 2016 he had the honour of chairing the Boarding Schools’ Association. 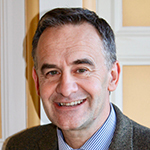 He has also been a governor of four Independent Schools and currently sits on the board of a co-educational Prep School and as well as St. Mary’s Shaftesbury. In addition, he is an advisor to two Chinese education companies. Mike joined St Teresa’s as Headmaster in September 2012. In the past few years the school has experienced dramatic growth (60%) and now has a roll of 640 pupils (the largest Catholic Independent Girls’ School in the UK). This achievement was recognised at the Independent School Awards, with St. Teresa’s picking up the prize for Outstanding Commercial/Financial Initiative in 2014 and Governing Body of the year in 2016. Mike is on the Education and Finance & Development Committees. Peter worked in the City for over 30 years as a fund manager, running portfolios in global fixed income and currency markets for both institutional and retail investors. He worked for large institutional firms and latterly was a partner in a medium sized asset manager. He currently sits on the Advisory board of Coram Asset Management, a discretionary fund management firm based in Bath. Peter lives just outside Shaftesbury with his family. Both of his daughters were at St Mary’s. He is a Catholic and delighted to have the opportunity to remain involved in the school. He is chair of the Finance & Development Committee. Harriet Hunt (nee Wright) was House Captain of Harewell and Prefect at St. Mary’s, leaving in 2004 to read Philosophy & Theology at Oxford University. After five years of working for a variety of organisations in the fields of headhunting, business intelligence, and international development, she decided in 2012 to start her teaching career. She has worked at Kingston Grammar School since then, holding numerous positions, latterly as Head of Religion & Philosophy and Head of PSHE. Harriet became a Governor of St. Mary’s in 2019 and is a member of the Education Committee. Alex is Founder & CEO of Roxhill Media, a new generation media intelligence platform for the PR industry. He previously founded and was CEO of Gorkana, a web-based media database, which he sold in 2011. Previously, Alex worked for JP Morgan and Morgan Stanley and prior to that was in the Brigade of Gurkhas. 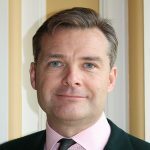 Alex was a Trustee for Help for Heroes from 2012 to 2016 and his particular interest is in mentoring young entrepreneurs who are looking for guidance on the challenges of setting up and growing businesses. He is an investor in a number of businesses. A former parent, whose daughter, Isabel, left in July 2018, Alex enjoys tennis, golf and playing hockey at Salisbury Hockey Club. As Governor, Alex will have specific oversight of Marketing, Communications and Development, and will support the School’s Director of Communications & Marketing, in promoting and raising the profile of St Mary’s. His strengths in new media as particularly valuable both for internal and external communications. 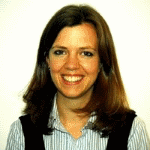 Gemma Simmonds is a Senior Lecturer in Theology at Heythrop College, University of London. A sister of the Congregation of Jesus, which founded St. Mary’s, she is an alumna of St. Mary’s Hampstead and Shaftesbury and was a governor at St. Mary’s Cambridge. She taught at St. Mary’s Ascot for 17 years where she was head of house and of Lower VI. 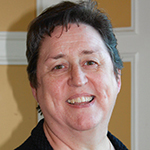 Gemma lectures globally in Catholic education and school leadership, especially within the worldwide network of Mary Ward schools and was elected onto the board in 2015. She has degrees in modern languages and theology from Cambridge and was a chaplain in the Universities of Cambridge and London as well as in HMP Holloway. A regular broadcaster on religious programmes for BBC radio, she is a translator in five languages and did missionary work among women and street children in Brazil. Gemma is on the Education Committee. 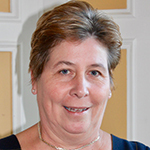 Janet is Deputy Head (Academic) at Farleigh School near Andover in Hampshire. 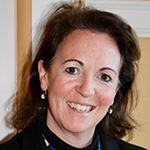 She is also an experienced Independent Schools’ Inspector. Her role as an inspector enables her to keep up-to-date with regulatory requirements and to know what is required from a school in order to achieve excellence. Janet qualified as a primary and middle school teacher in 1986 with a BEd (Hons) in Physical Education. She trained and taught in the state sector before moving to Moor Park, a Catholic prep school founded by her husband’s parents. Between 1988 and 1996 she held a number of roles at Moor Park, including Year 3 teacher, Pre-Prep teacher, boarders’ house parent and games coach. Since moving to Farleigh in 1996, Janet has held a number of leadership roles, including Head of Year 7, Head of the Lower School and Lower School English Co-ordinator. She has been a member of the Senior Management Team since 2008 and held the roles of Head of Maths and Director of Studies before her appointment as Deputy Head (Academic) in 2015. Religion and faith are important to Janet and she is a practising Catholic. Her son was at Downside School and her daughter attended St Mary’s. She became a Governor in 2016, with a desire to give something back to St Mary’s after her daughter had been given such a first-class education. She is a member of the Education Committee.